Having a positive mindset can change everything around you. We live in a very negative society, where everyone talks bad about one another. Gaining positivity has to start with what you say to yourself. For instance, instead of saying negative affirmations begin to repeat positive ones such as "I Am Peaceful" or "I Am Happy". Positive affirmations can change the things you say and do. Be Positive! Be Happy! Complaining about a situation will not change anything. 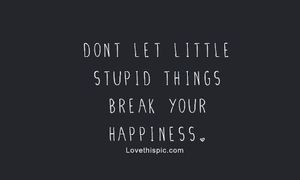 Don't let small things take away your happiness. Your happiness is very important to your body physically, mentally, and spiritually. Being happy can give you the joy you have been missing your entire life. SHARE YOUR HAPPINESS! Chasing after your dreams can affect you physically and mentally. Being able to do what you desire and you have a passion for can bring you happiness. Your dreams are what will bring you joy into your life. Don't become comfortable with a average life. Chase your dreams and achieve them. Having faith in what you do and love will bring you a positive mindset. Faith can help you overcome fears. Being able to achieve great things and overcome setbacks can show you how faith can affect you. Faith is a emotion that we all have that will help us overcome hard times and tough situations. Have Faith In Whatever You Do! 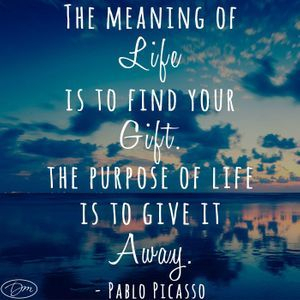 Finding your gift in life is very meaningful. Doing what you desire and love is important. Waking up and having that drive to chase your dreams is what makes your interesting. Most individuals give up on their dreams, when the first sign of failure approach. Your gift is a special talent that was given to you. Never overlook your talent. Your talent can create the dream you always vision of yourself. Your gift is an significant tool you can use to advance in your life. There will be rough days you couldn't image getting out of. Days you will feel like giving up, but behind every tough situation lies sunshine. Have faith in a higher power and be happy for what you have in life. Don't let small and temporary circumstances stop your happiness. Life has its ups and downs. Some days will be beautiful and some will be stressful. Overcome your tough times now, so later on in life you will tell the world your amazing story. With patience everything will come at the right time, you have to wait for the right moment in life to see great things come true. There will be a long road to success, but with patience and faith success will come by easier and better. With persistence and consistence, you can endure through any tough situation. You will go through trials and tribulations in life. There will be times you want to give up and quit on life, but there is always a way out. You have to be patient and have faith in yourself. Life will throw curve balls that will only teach you a valuable lesson. You have to take those lessons and learn from them. Even though we live in a fast pace generation where everything seems to come to fast to others, you just have to be patient and wait your turn. Success come to those who can hold on through hard times just to see brighter days. When times get rough and situations get hard, you have to be strong and hold on tight to faith. 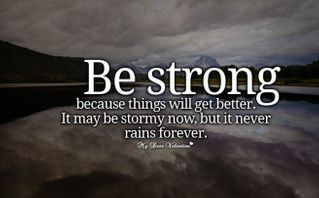 The storm will make situations look impossible to overcome, but if you have faith you will see brighter days. Without the struggles, you will not know how strong and great you can become. 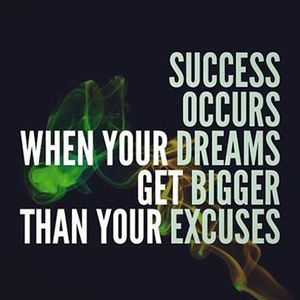 Refrain from all excuses that are stopping you from achieving your goals in life. Success occurs when you dream big and work hard to see those dreams come to life. You have to put in every effort and make as many sacrifices to achieve your goals. Excuses will hold you back from seeing great things become accomplished. Follow your dreams and success will come. Stop putting your dreams on hold for temporary situations. People keep putting their happiness and dreams on hold to fulfill temporary needs. Life is too short and great for you to be unhappy and anger at the world. Some people chose to have a steady and safe life than taking the risk to fulfilled their dreams. There nothing bad about working for a 9-to-5 job, but choosing a steady paycheck over your dreams will make you unhappy. 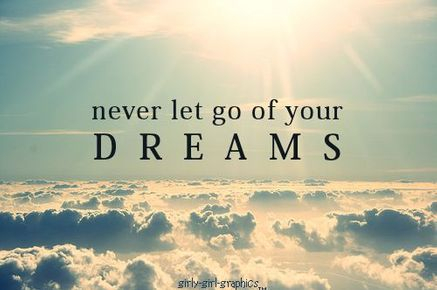 Never let go of your dreams. Keep chasing your dreams and working hard to fulfilled them. Everyday you hear people complaining about how crazy the world is and how life is just not for them. Stop risking your happiness for a situation that can be fixed. Too many people sit around and complain about how their life is not where it suppose to be. If you just sit around and complain, all you doing is wasting time. During that time that you wasting, you can be working on better things in you life such as your personal life, your work life, or even your dating life. 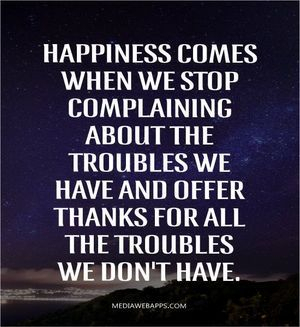 Be thankful for the troubles you don't have to deal with. Be grateful that you have a job, someone to love you, a roof over your head, and food on your table. 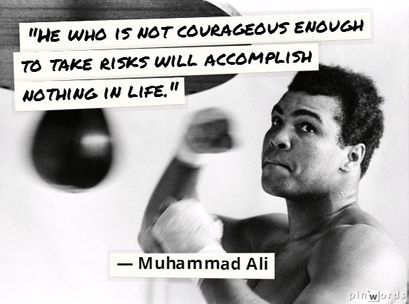 You have to be courageous and a risk taker to accomplish great things in life. The most successful and wealthiest individuals accomplished their life's goals by being courageous and taking risk that help them advance in their career. If you want to see positive outcomes in your life, you have to work as hard as you can and make sacrifices that will give you the chance to see your vision come to life. Every legend and icon predicted how great they are going to become. They used their dedication and hard work to prove to others how great they are. For instances, Rapper Lil Wayne told the world he is "The Best Rapper Alive", which he has proven by his great music and his work ethic. You have to believe that you are great in order to be great. The late Michael Jackson prove that he is the "King of Pop" by releasing nothing but award winning albums and music. The late great Muhammad Ali showed the world he is "The Greatest" by beating his competitors and proven everyone who doubted him wrong. 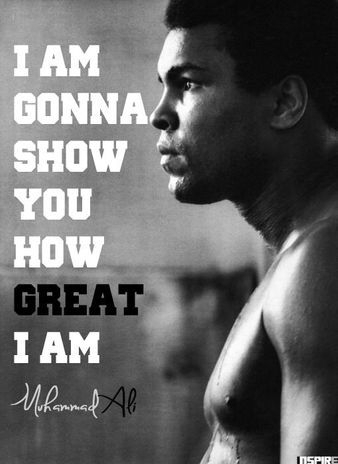 You have to feel and think you are the "Greatest". Be Great! Quitting doesn't accomplish anything in life. If you quit now, all the hard work and sacrifices you made will go to vain. 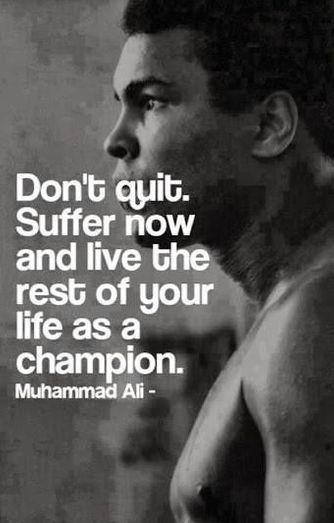 Suffer now and let all your troubles come and go, but do not quit. Only people who quit are losers. Champions endure through the hard times in order to get to their destination. You have to keep a positive mindset and be consistent with what you do, so that you can see every goal become accomplish. You have to discipline yourself if you want to achieve more in life. You have to take risk and chances on things that will only bring you temporary satisfaction for long-term success. Being discipline enough to do what you have to do, in order to get things done. Take No Regrets In Life! The chances you didn't take could've been the opportunity for you to get closer to your dreams and goals. Opportunities only comes once. Take every chances even if you fail, at least you tried. Always keep a positive mindset. Even when times get rough and tough always have a mindset that will keep you going. 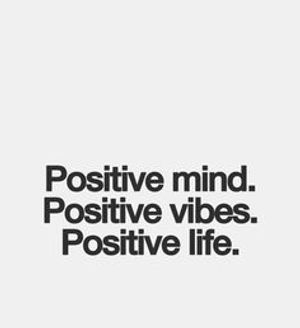 A strong and positive mind can help you overcome any situation or circumstances. Negative thoughts and people will try to turn your positivity into negativity. Eliminate any negative thoughts and surround yourself around positive individuals that will uplift you and motivate you to do better. Have faith even when you are in your darkest moments in life. Continue to see the sunshine throughout all the rainy days. The hardest moments in your life will lead you to your destination. Stand in faith and think positive better days are coming your way! Life can bring unexpected problems and situations, where you want to give up. Don't quit now, you made it this far in your life to just settle for less. Look on the bright side of the problem. Your problems could have been worse than it is. Everything will be just fine. Stay focus and have faith that better days will come! Everything takes time! Life is just about being patient and enduring through the difficult times. Being patient helps you learn your weakness and strengths. Don't let instant gratification tempt you to rush in life. In today's world, everything is coming too fast, where you want something immediately. Take your time in life and be patient on God's timing. Everything you dream about will come at the right time.